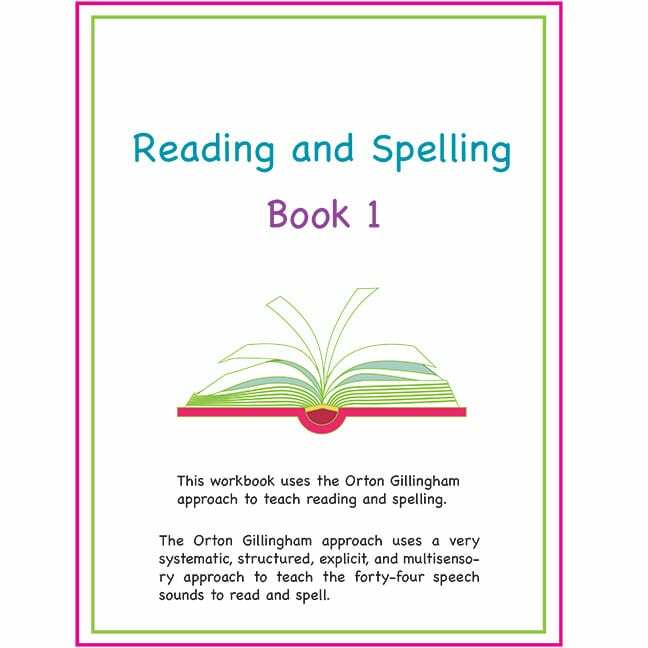 Reading and Spelling Book 1 was written to help students of all ages learn to read and spell. It is for students who are just learning to read or who have had difficulty in learning to read. 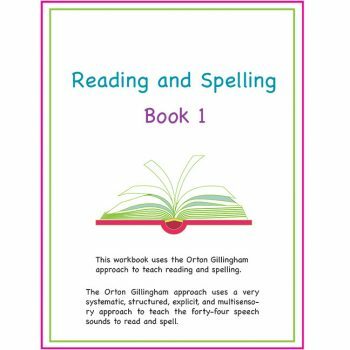 The workbook uses the Orton-Gillingham approach to teach reading and spelling. The Orton Gillingham approach uses a very systematic, structured, explicit, and multisensory approach to teach the forty-four speech sounds to read and spell. Reading and Spelling Book 1 covers the five short vowel sounds, two long vowel sounds and beginning blends. There are twenty lessons in Book 1. Each lesson has four to five pages. There are also four Reading and Spelling Checks and an Answer Key at the end of the book. Each lesson begins with a word list that includes words with the targeted sound for that lesson. Many of these words can also be used as vocabulary words. The next page in the lesson works with high frequency words. These words are often misspelled so they are presented and practiced repeatedly throughout the book. The third page in the lesson is a fill in the blank page so students can practice using the words from the word list from the first page of the lesson and the high frequency words from the second page of the lesson. There are pictures from the first page of the lesson at the end of some of the fill in the blank sentences since many sentences could have more than one answer. Students use the pictures at the end of the sentence to know which word from the word list to use. The fourth page of the lesson practices spelling, grammar, vocabulary or writing. The last page of the lesson ends with a Word Search of the targeted and high frequency words from the lesson. If for any reason you are not completely satisfied with the materials you ordered, return the materials in saleable condition (unmarked and undamaged) to receive a full refund or credit. Materials may be returned via the least expensive carrier (use of tracking numbers is recommended). Customer is responsible for return shipping. Read our full Return Policy.